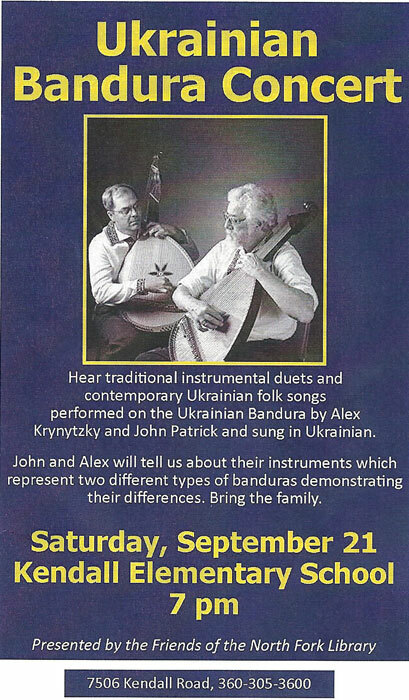 Friends of the North Fork Community Library are pleased to present this FREE Ukrainian Bandura Concert to our Community. This entry was posted in Library Events and tagged North Fork Community Library, Presented by the Friends of the North Fork Community Library, Ukrainian Bandura Concert. Bookmark the permalink. ← Congratulations to Chris Navarre our 2013 Raffel Quilt Winner!